Etihad has launched two new discount codes, worth up to 15% off the cost of a flight booked over the next two weeks. You can book via the Etihad website here. and Etihad Guest launches a 20% transfer bonus …. 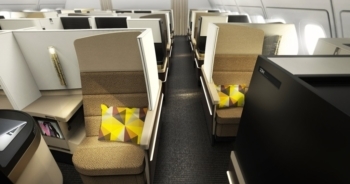 Etihad Guest has launched another of its occasional transfer bonuses. Details of the bonus are here. It is important to note who is NOT on the list – American Express Membership Rewards. You will not get a bonus if you transfer from here. Note that Etihad Guest is no longer a Heathrow Rewards partner. Transfers must be made by 30th April. The bonus will be added in a separate transaction within 15 working days of the end of the promotion. You can find out more here. In addition, if you are not already an Etihad Guest member, you can sign up here and receive 500 bonus miles. Talking of discount codes, Opodo is running another promotion this week. You must booked between 1st and 8th April. All flights must depart the UK. You can book on the Opodo website here. 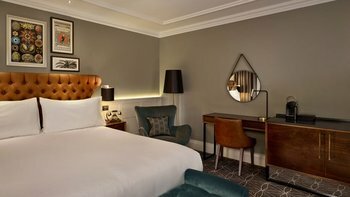 The DoubleTree London Kensington has formally rebranded as a Curio property, under the name ‘100 Queen’s Gate Hotel‘. Curio is Hilton’s brand for upmarket independent hotels which do not want to follow Hilton’s ‘by the book’ operating manuals but still want to tap into Hilton’s marketing clout and the 100 million Hilton Honors membership base. We have reviewed a few Curio hotels (see Ibiza here and see Boston here) and have been impressed. Following a substantial refurbishment it looks, at least from the images, pretty good. 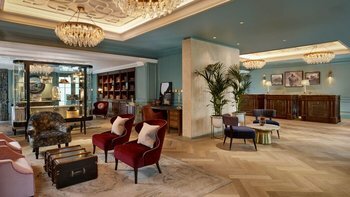 There are three food and beverage outlets – an all-day dining brasseries, a cocktail bar called ESQ and Botanica, an atrium space which will serve afternoon tea. In terms of location it is very, very close to the South Kensington museums and about 90 seconds walk from South Kensington tube station. The Albert Hall is also a gentle stroll away if you are attending an event. OT, Do you get a bonus for adding a supplementary card to my BA Amex card? If you do get a bonus is it only for the 1st sup card or for every one you add? First one you do. No further bonus on additional cards. Doesn’t seem to trigger if you add it at the application stage though… I had to call Amex to manually credit the 3k points on my Amex Gold and BAPP for this very reason which, to their credit, they did. Thanks, I never did it at application stage. I see you can have up to 99 free Supplementary cards, that’s a lot of shop small credit!! yes, but remember that they do an identity check on each. Be warned, is all I’m saying. Reminder in the paper today that Flybe are now strictly enforcing the cabin baggage policy with £50 penalty for small infringements. [Cabin baggage allowance and cost: One slim piece of cabin luggage that is no bigger than 55cm x 35cm x 20cm – including any wheels and handles – can be taken on board for free. I topped up with a £20 voucher is that all I need to do or do I need to go through some process to purchase the rocket pack as well? I saw it elsewhere earlier than here and it didn’t work then. We were unable to apply the promotional discount. Search criteria does not qualify for the discount or the promotion code is incorrect/expired. You can continue to book using our standard fares. Annoying. It was definitely OK when we wrote it up.